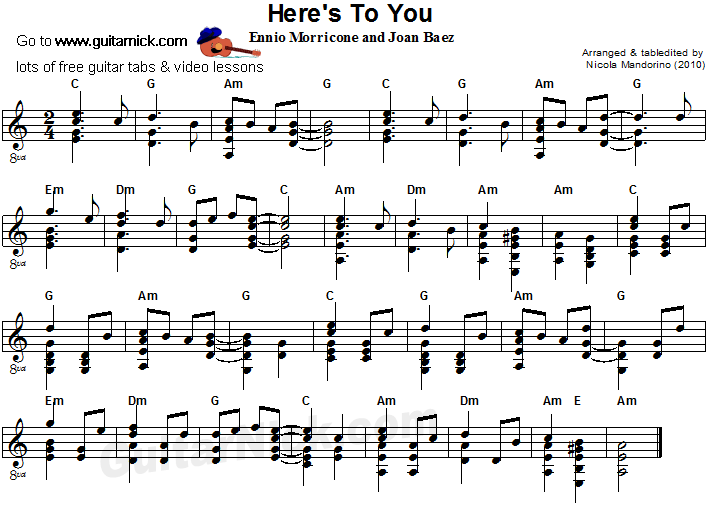 "Here's To You" by Ennio Morricone and Joan Baez is a marvellous song. I've arranged this acoustic guitar version in flatpicking style with really feeling. In 1920, the anarchist Italian immigrants Nicola Sacco and Bartolomeo Vanzetti are sentenced to death, falsely accused of a robbery and murder. Indeed they are condemned due to their political beliefs, in one of the most shameful and hypocrite judgments of the human history. 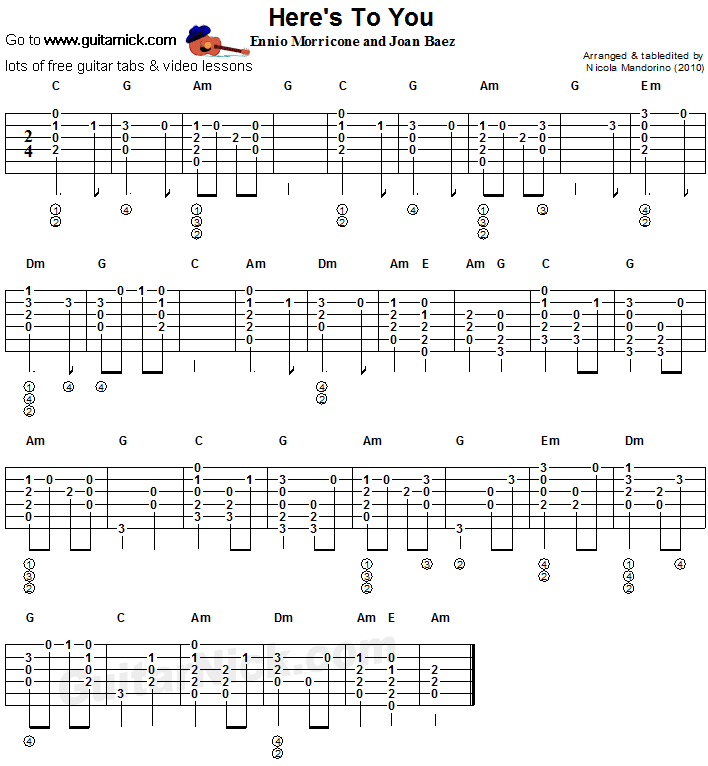 Learn to play it with free guitar tab, sheet music, chords and my guitar lesson.